LONDON, United Kingdom – Philippine chocolate brand Risa Chocolate recently joined the The Chocolate Show London held at Olympia National Hall in Kensington. According to Philippine Department of Trade and Industry’s Philippine Trade and Investment Center – London, for many years, Risa’s participation is another first for a Philippine SME to participate in one of the United Kingdom’s biggest chocolate trade shows. DTI noted that Risa Chocolate was the only exhibitor from the Philippines that made a sweet debut with other popular fine chocolate British brands like Hotel Chocolat, Rococo Chocolates and Paul A Young. Risa Chocolate is co-owned by Filipino couple Pam and Lawrence Cinco. Pam has explored the local cacao bean production and was inspired in her pursuit to make fine chocolates. "Risa Chocolate is made in the Philippines where our unique terroir blends with single origin cacao beans, excellent craftsmanship, and a lot of passion,” according to the company. Their products are single-origin chocolates made from cacao beans, which are sourced from the Philippine provinces of Bicol and South Cotabato. According to Cinco, the finished chocolate bars do not contain soy lecithin, letting the cacao beans taste even better as they age. The Philippine SME also created ‘The Pilitas’ range, which are made of native Pili nuts – a local Philippine snack – covered in chocolate. 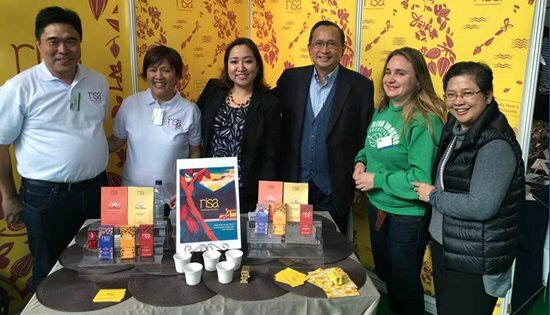 Philippine Ambassador to the United Kingdom Evan Garcia visited the Risa Chocolate booth at the chocolate show alongside Commercial Attaché and Philippine Trade and Investment Centre London Head Kristine Umali to show support and encourage show visitors to try samples. “I am proud that Philippine SMEs and brands are starting to breach the global market and show that Philippine cacaos as well as our fine chocolates are truly world class,” said Commercial Attaché Umali. DTI noted that with the strengthened programs of the department in enabling micro, small and medium enterprises (MSMEs) to access new markets, it hopes to increase the number of MSMEs that participate in international trade fairs. MAKATI CITY – The Construction Industry Authority of the Philippines (CIAP) is mandated to promote, accelerate and regulate the growth and development of the construction industry in conformity with national goals. Through CIAP’s licensing arm, the Philippine Construction Accreditation Board (PCAB), the government ensures that all contractors are reliable, competent and qualified to engage in construction contracting business in the country. PCAB revokes and/or suspends the license offering contractors. With the help of the Philippine Domestic Construction Board (PDCB), another implementing arm of CIAP, appropriate policies and guidelines for pre-qualification, bidding and contract award for public infrastructure projects are formulated and recommended. CIAP assures that Filipinos receive premium service through government infrastructure projects. The CIAP, through PDCB, implements the Construction Performance Evaluation System (CPES), a uniform rating system for evaluating the performance of constructors based on a set of criteria. These are workmanship, materials used in the construction, timeliness, facilities, environmental safety and health and human resources deployment during construction. Its implementation is governed by Section 12, Annex E of the Implementing Rules and Regulations (IRR) of Republic Act No. 9184 (Government Procurement Reform Act).The evaluation is done at certain stages during the actual construction of the project, and upon its completion. Based on the CPES results, among others, contractors are blacklisted by various infrastructure agencies (agency-level). The list are consolidated and submitted by PDCB to the Government Procurement Policy Board (GPPB) are posted at the GPPB website for reference by the Bids and Awards Committees of various agencies. The Consolidated Blacklisting Report contains the list of contractors blacklisted by the procuring entities. Based on the List of Consolidated Blacklisted Contractors at GPPB website, as of 30 September 2016, there are 36 blacklisted contractors. Thirty-two (32) of which were blacklisted by various government infrastructure agencies due to the following grounds/offenses: rescission of the contract due to failure to complete the project, abandonment of the contract/project, intolerable negative slippage, failure to comply with contractual obligations/contract violations, failure to comply with any lawful instructions, falsification of public documents, quality of materials not complying with the approved plan and specs, poor performance or unsatisfactory quality of work and termination of the Contract. Contractors included in the Blacklist are not allowed to participate in any government procurement or bidding during the period of disqualification. AFP: DJ Builders Corporation; National Irrigation Administration (NIA): E.S. Almuete Construction, and Francis Lim Construction; Local Government of Quezon City: HUXLEY Builders General Contractor; Philippine Army: MECON Systems Services and Maintenance Products, MRRM Trading and Construction, and Northstar IBEX Construction Corporation; Municipality of Calamba: River Concrete Construction and Development Corporation; Philippine National Police (PNP) Region 8: Ruby Lim Construction and Supplies Incorporated; Philippine Ports Authority (PPA): S&W Construction and Gen. Merchandise; Department of Health (DOH): Square 'R' Builders and Development Corp.; City of Zamboanga: WERR Corporation International. For updates and lists of blacklisted contractors, please visit the GPPB website (https://www.gppb.gov.ph). Four (4) contractors were blacklisted by the PCAB due to either of the following offenses: misinterpretation of financial qualification, submission of spurious contractor’s license, submission of spurious or false documents or misinterpretation of Sustaining Technical Employee (STE). These contracting companies are Geety Realty & Development Corp., Lime Light Construction, R2D Construction & Supply, and Transpower Builders and Development Corporation. A blacklisted contractor will automatically be removed from the blacklisting on the succeeding licensing period after payment of the appropriate penalty, unless the blacklisting agency requests the GPPB to maintain the blacklisted person/entity in the GPPB Consolidated Blacklisting Report due to justifiable reasons. In the latter case, the blacklisted person/entity shall be delisted only upon the blacklisting agency’s issuance of a Delisting Order. QUEZON CITY – Environment and climate advocates challenged President Rodrigo Duterte to demand accountability from developed countries, in light of the president's recent tirade against these countries' huge contribution to greenhouse gas (GHG) emissions that caused the current climate challenges the global community faces today less than two weeks before the 22nd Conference of Parties (COP) in Morocco. The international gathering of country-parties to the United Nations Framework Convention on Climate Change (UNFCCC) serves as a forum to tackle climate change and addressing its impacts. In last year's COP, governments worldwide agreed to cap global warming within an aspirational limit of 1.5 degrees Celsius as embodied under the Paris Agreement. The Philippines has yet to ratify the Paris Agreement. Sanlakas Secretary-General Atty. Aaron Pedrosa stated that Duterte's indignation against these industrialized countries could be channeled to demand from them climate justice. "The Philippines, being one of the countries who have suffered the most from climate-induced catastrophes, must be at the forefront of the call for industrialized countries to account for their harmful environmental practices by bearing most of the burdens of decreasing emissions and paying reparations for the loss and damages suffered by vulnerable countries from climate-induced catastrophes. The question is not whether or not we ratify the Paris Agreement but will the Duterte Administration demand for more ambitious targets and just agreements that would benefit countries like the Philippines?," Pedrosa said. Pedrosa cited the disasters brought by typhoons Yolanda, and recently, Lawin, along with strong episodes of El Niño, as manifestations of climate injustices which developed countries ought to account for. Center for Energy, Ecology, and Development (CEED) Convenor Gerry Arances adds that Duterte must also challenge these developed countries, in their efforts to account for the climate injustices they have perpetrated, to be proactive in combating climate change. "It is not enough that we demand from these countries bare minimum compliance with the climate deal, such as leading the international effort to keep the global temperature well below 1.5 degrees Celsius," said Arances. "Along with their individual efforts towards climate change mitigation through reducing their GHG emissions, we must obligate these countries to also fully uphold their commitment in equipping developing countries with the means to mitigate and adapt to climate change," he said. Resources of developed countries – from finance to technologies – far outweigh those of developing countries. Arances said that engaging in undertakings such as climate financing and technology transfer – which developed countries have committed to in the United Nations Framework Convention on Climate Change (UNFCCC) – are ways by which developed countries can empower developing countries in better dealing with the realities of climate change. "Although these undertakings, particularly climate financing, have been agreed upon in the international climate pact, developed countries have a history of not living up to aid promises," explained Arances. According to him, despite industrialised countries committing back in 2009 to give developing countries $100 billion a year in additional climate finance from 2020 onwards, no binding and measurable targets leading towards the completion of this goal has been laid down since the latest Paris climate conference. "This makes the finance pledges by developed countries a mere vague promise," said Arances. "Our president must demand for donor countries to take concrete action in meeting their climate finance goals." In addition to this, Arances also brought to attention the critical role of technology transfer among developed and developing countries. "Duterte must also call for industrialized countries to comply with their commitment to technology transfer," added Arances. "This provides much opportunities for developing countries to adopt measures and technologies that help them in becoming self-sufficient in terms of dealing with climate change." According to Arances, such kinds of opportunities are manifested in the friendly relations between the Philippines and China. "China – a country that has ratified the Paris Agreement, initiated a massive phase out operation for coal, and which now rises as a leader in RE development by having the highest installed RE capacity in the world (785 GW) – is ripe with technologies and know-how and equipped with legal and regulatory means that encourage the proliferation of its climate-friendly technologies and practices," Arances explained. "Its good relations with the Philippines, bolstered by China's compliance with its pledge on technology transfer, provides an ample opportunity for the Philippines to learn and benefit from the ongoing renewable energy (RE) development of the latter," he said. In addition to addressing industrialized countries, Pedrosa also challenged Duterte to mobilize fellow developing and climate vulnerable countries in seeking climate justice – within the international and domestic setting. "While developed nations hold most of the responsibility in mitigating and addressing the impacts of the long history of their negative environmental practices, developing nations still share in the duty of realizing a world without dirty and destructive energy, Hence, while we support Duterte's adamant stand to exact greater accountability from rich countries like the US, we disagree in making this a pretext to resort to the use of the very same technology that has spawned the climate crisis" Pedrosa said. "President Duterte in refusing to refer the Paris Agreement to the Senate for ratification argues that the deal would stifle the country's development. While It is laudable to call out rich countries for pursuing a development track that has caused excessive concentrations of greenhouse gases in the atmosphere, it is mistaken to argue that it is the Philippines' right to tread the same development path. Development need not be dirty,” Pedrosa concluded. The DILG Secretary made the remarks during the culminating ceremony of the 25th anniversary of the Local Government Code (LGC) at the Sofitel Philippine Plaza Manila this afternoon. Of the 318 LGU awardees, 306 were conferred with SGLG for passing the test of good governance, while four barangays bagged the Outstanding Lupong Tagapamayapa award, with the rest being declared as runners-up. According to Sueno, passing the test of good governance means having complied with all the requirements of three core areas – financial administration, disaster preparedness and social protection, and any one of the essential criteria – business-friendliness and competitiveness, peace and order, and environmental management. In Eastern Visayas, Regional Director Marivel C. Sacendoncillo lauded the SGLG winners as well as the LTIA National awardee for 4th-6th class municipalities (Brgy. Hingatungan, Silago, Southern Leyte) for observing the tenets of good governance. 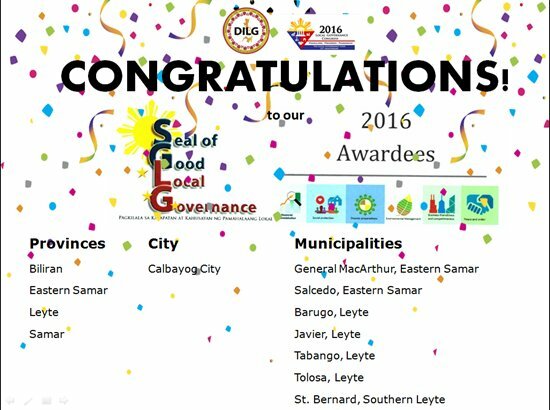 The 12 SGLG awardees in Region 8 are the provinces of Biliran, Eastern Samar, Leyte and Samar; for Cities, Calbayog City; and the municipalities of General MacArthur and Salcedo in Eastern Samar; Barugo, Javier, Tabango and Tolosa in Leyte; and St. Bernard in Southern Leyte. AFP Central Command commander LtGen. Raul del Rosario AFP spearheaded the Wreath Laying Ceremony together with foreign dignitaries and diplomatic representatives to honor our heroes of WW2. CAMP LUKBAN, Catbalogan City – The 8th Infantry (Stormtroopers) Division, Philippine Army participated in the commemoration of the Leyte Gulf Landing Anniversary at MacArthur Landing Memorial National Park, Candahug, Palo, Leyte on October 20, 2016. The activity started with a tribute march of the veterans and lighting of the peace torch by Commander Avelino L Mosot, Regional President, Veterans Federation of the Philippines-Leyte Chapter. The event was graced by Minister Atsushi Ueno, Deputy Chief of Mission and Consul Head of Political Section, Embassy of Japan in the Philippines; Col. Kevin P Wolfla US Army Attaché, Embassy of the United States of America in the Philippines, Capt. Brad White, Defence Attaché, Embassy of Australia in the Philippines. Also in attendance were LtGen. Raul L Del Rosario, Commander Central Command; Brig. Gen. Raul M Farnacio, Commander 8ID; Brig. Gen. Joel Joseph A. Cabides (Ret), Regional Vice President, Veterans Federation of the Philippines; Col Bonifacio G De Gracia (Ret), National President, Veterans Federation of the Philippines, MGen. Alfredo S Cayton Jr (Ret), Veterans Affairs Management, Philippine Veterans Affairs Office; (Ret) Justice Manuel R Pamaran, Board of Trustee of Veterans of World War II; Rev. Msgr. Rex Ramirez, Vicar General, Archdiocese of Palo; Hon Remedios L Petilla, Municipal Mayor, Palo Leyte; Hon. Carlo P Loreto, Vice Governor of Leyte; and Hon. Leopoldo Dominico L Petilla, Governor of Leyte. Messages of Solidarity for peace were delivered by the diplomatic corps present followed by the hoisting of flags and singing of their respective national anthems. 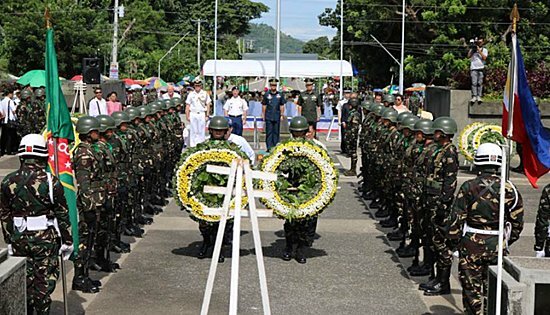 The 8ID troops spearheaded the Wreath Laying Ceremony in honor of our heroes who fought with gallantry for the present generation to cherish the true essence of liberty. Lieut. Gen. Raul L Del Rosario in his message said, “Today as we celebrate the 72nd Anniversary of Leyte Landing, we honor Gen. Douglas McArthur who stood firm and fought his way to reclaim the freedom of the Philippines. We are also here to honor the thousands of great men and women of different nationalities who fought in the Philippines in defense of freedom and we also honor the thousands of Filipino guerillas who patiently fought underground even at the verge of scarcity. We also honor the civilians in surrounding communities who equally suffered the cruelties of war some of whom are present here today. Sa inyo pong lahat utang namin sa inyo ang ating kalayaan lubos kaming nagpapasalamat sa inyong mga sakripisyo at kabayanihan patuloy po kayong magiging inspirasyon ng ating sambayanan.” Del Rosario added. Philippine Ambassador to France Ma. Theresa P. Lazaro (7th from left), PTIC-Paris Director and Commercial Attache Froilan Pamintuan (rightmost), and DTI Export Marketing Bureau Assistant Director Anthony Rivera (3rd from left) join the Philippine delegates led by Animation Council of the Philippines Inc (ACPI) President Miguel del Rosario (9th from left) during the first Philippine participation at the MIPCOM in Cannes, France last October 17-20. 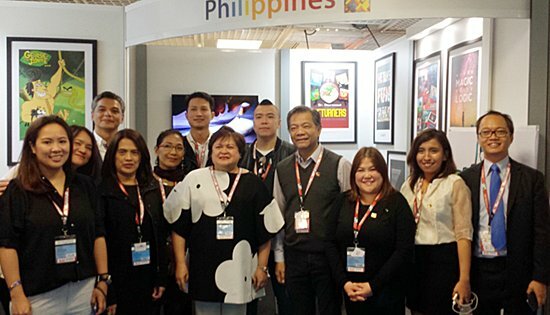 CANNES, France – Philippine animation studios, led by the Animation Council of the Philippines, Inc. (ACPI) recently showcased the digital content capabilities of the Philippines at the International Market of Communications Program (MIPCOM) at the Palais des Festivals et des Congres in Cannes, France last October 17-20, 2016. The Philippine participation at the MIPCOM was supported by the Department of Information and Communications Technology (DICT), the Philippine Embassy in Paris, the Philippine Trade and Investment Center in Paris (PTIC-Paris), and the Department of Trade and Industry's Export Marketing Bureau (DTI-EMB). Represented at the MIPCOM were companies including ASI Animation Studios, RenderBee, Synergy88, TeamApp, Toon City, Toon City Academy, Top Peg Animation, and 88storey Films. These Filipino companies are among talents with creative design and animation capabilities for web and mobile games applications, interactive and immersive visual technology, animation for television, film, and the internet, production of audio-visual presentations and commercials for television, cinemas and the internet. “MIPCOM is a big opportunity for the animation industry of the Philippines. The major players are here and our presence in this important event is essential. We expect to generate new business engagements as there is a growing demand for content and creative services here in Europe” said ACPI President Juan Miguel Del Rosario. “Given the capabilities of the participating companies, we are confident that this participation will open doors of opportunities for our content industry in the country as we aggressively move to prioritize new markets and new services to expand our exports” said Dir. Senen M. Perlada of the DTI-Export Marketing Bureau. “France has the largest animation industry in Europe and the third largest in the world, so there is a lot of potential for our animation industry to set up partnerships and increase awareness of the creative Filipino talent in France,” mentioned by the Philippine Ambassador to France H.E. Ma. Theresa Lazaro. The animation industry in the Philippines started in the 1980s, making it one of the stronger Asian players in the global animation industry today. At present, there are over 100 animation studios across the country with total revenue of US$153 million and over 11,000 full-time employees. “For this sector, Philippines is actually seen as potential partner for growth by various companies from Japan, France, India and other key players in terms of training, development of content and other key areas,” said DTI PTIC- Paris Director and Commercial Attache Froilan Pamintuan. Aside from MIPCOM participation, the Philippine animation delegation held meetings with the French Association of Animated Film (AFCA) and the Network of French Animation Schools (RECA), which includes Les Gobelins, the number one animation school in the world. French animators were also invited to join Animahenasyon, the country’s animated film festival and to establish potential partnerships in higher education and training. MIPCOM is an annual event held every October in Cannes, France and is known in the television and entertainment industry as a premier marketplace to buy and sell new programmes and formats for the global market. Major players such as Disney, Warner Bros., 21st Century Fox and HBO, are among the participants of the said event. In 2015, performances include almost 14,000 participants, over 2,000 exhibiting companies and 4,700 buyers. NEW YORK – Fashion show production was taken to a whole new level yesterday when Jessica Minh Anh hosted an impressive sky-high ocean catwalk overlooking New York’s famous skyline. Nearly 100 exquisite haute couture and innovative designs from 9 countries were premiered in what can only be described as a flawless theatrical showcase of modern excellence. Staged on the sun deck of the German cruise ship AIDAluna, J Autumn Fashion Show 2016 celebrated the refreshing take on fashion of a new generation of female leaders. A perfect portrait of class and elegance, Jessica Minh Anh opened the iconic catwalk in a 50’s inspired green velvet abaya with striking metallic buttons by Debaj Collection. Following the exotic beauty was a line up of models showcasing artistic touches on Qatari traditional outfits. Adding colours to the grand catwalk, Peruvian designer Ani Alvarez Calderón premiered a red, gold, and white collection, which focused on innovative craftsmanship and characteristic textile pattern. The South American representative successfully combined technological fabrics with handmade beadings using her unique sense of Peruvian aesthetics. Next, Polish renowed designer Teresa Rosati brought romance, delicacy, and lightness with her Victorian-style collection called the “Autumn Waves”. The artist creatively used chiffon and organza with faded red, beige and green colour palette to introduce modest cuts alongside ambiguous transparency. Featuring stand-up collars, ruffles, and elaborate embroidery and decoration, the collection transcended sophistication and edge. Returning to Jessica Minh Anh’s theatrical catwalk, Lebanese haute couturier Rouba.G presented a daring and seductive lace-meet-leather collection to celebrate women’s individuality and independence. Simultaneously, flowing sheer fabrics were used to express femininity and softness. The captivating “Romancing False Truths” designs revealed advanced fabric manipulation and customisation. Indonesian representative Ivonne Magdalena effectively inserted playful and chic elements onto the catwalk by mixing bold colours with feminine details. Creating a mystic fusion of lure and strength, her VONE collection defined the contemporary style at its finest. Chotronette from Romania transformed the classic Eastern European look into the new age’s romanticism with a timeless and dreamy collection. The exquisite handmade designs are a visual playground of pastels and neon colours, fluidity and shapes, with modernised details. The mesmerising finale collection by Lebanese fashion house Eden Haute Couture included 3-dimension embellishments and impeccable craftsmanship. The collection spoke “couture” through its sumptuous fabrics, meticulously hand beaded textiles, and distinctive cuts. Saving the best for last, Jessica Minh Anh emerged and blossomed in a breath-taking multilayered crystal dress against the epic backdrop of New York City. To compliment Jessica Minh Anh’s extraordinary vision, Red Market Salon exclusively created an architectural hairstyle which mimicked the 3 famous bridges: the Manhattan Bridge, Williamsburg Bridge, and Brooklyn Bridge. Jessica Minh Anh’s flawless look was completed with various state-of-the-art jewelry sets crafted by Brazilian talent Cristina Sabatini. The show was supported by AIDA Cruises, Fotocare, Chicstudios NYC, New York Printing Solutions, and Easy Print. J Autumn Fashion Show 2016 marked Jessica Minh Anh’s 15th high profile showcase since her history-making catwalk on the Tower Bridge in London. The multitalented model and entrepreneur, who has continuously captured the world’s attention, has already started planning her next phenomenon. “I believe the most outstanding creations should be showcased at the best of locations with unconventional catwalk concepts. I’m determined to make it a reality every time” said Jessica Minh Anh. For more info, visit www.jmodelmanagement.co.uk and follow @jessicaminhanh for the catwalk video release. 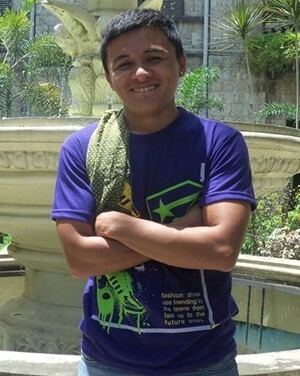 MANILA – After almost a year of waiting, the National Labor Relations Commission (NLRC) has decided last week in favor of 26-year-old migrant worker Rafael Alejo Ambrad, who stopped working after being permanently debilitated due to severe overwork by his employer the Admiral Overseas Employment Corporation and Medtel WN WILL. Ambrad, who hails from Cebu City (Philippines), was deployed in Qatar for Medtel WN WILL through his recruitment agency Admiral as carpenter/gypsum installer. He joined the company in September 2014, and on one occasion during his employment was forced to do five days’ worth of work in only two days with only one helper (the job would normally require at least four) and no lifting device, as well as installing gypsum board in extremely confined spaces. After this spell, Ambrad quickly found himself in acute pain, suffering a lumbar sprain, a very rare condition for young people. He can no longer lift heavy objects and will never be able to work in construction again. He resigned on March 2015 as severe pain and the company’s refusal to provide assistance, paid sick leave or cover medical fees meant he could no longer continue working. Upon returning home, he filed a complaint at the National Labor Relations Commission (NLRC) with the assistance from Associated Labor Unions (ALU), a global union federation Building Woodworkers International (BWI) Philippine affiliate. The NLRC’s judgement found that under the circumstances Ambrad’s resignation amounted to an illegal dismissal, while the respondent continually ignored his medical condition. For this the respondent is required to pay a monetary award of QAR 20,063.83 (US$5,509). This includes the payment of the six-month salary covering the unexpired portion of his contract, unpaid salary of one month, gratuity pay, annual leave pay, refund of PATAKA (RPID), salary differential of 200 QAR per month for 18 months period and 10% attorney’s fees.